It’s almost November, the biggest month of the year for daily writing and blogging challenges — you know, the ones with names that sound like chemical formulas. 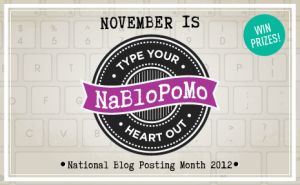 There’s National Novel Writing Month (NaNoWriMo), National Non-Fiction Writing Month (NaNonFiWriMo), National Playwriting Month (NaPlWriMo), a month-long drawing challenge, (NaNoDrawMo), and their blogging counterpart, National Blog Posting Month, or NaBloPoMo. Story by Anthony DeMarco. Visit the original post Alex Soldier’s Colorful, Creative Jewels – Forbes for author’s bio and social media. See more of Soldier’s work here.